If you have some wooden hangers lying around, or happen to come across one, this upcycling video might just be the inspiration you need to add a new life to those common household hangers. Want to add some wooden threads to your freshly turned lidded box? This unique router jig is just what the Woodsmith ordered to add a nice touch to complete your next project. If you haven’t stopped by Matt Berry Custom’s channel yet, it’s a fun one to watch. In this video, Matt makes some mini tools from scraps, that actually work. Why? Because he can. Tim, from woodturningwithtim1, created this video for the induction ceremony for Ron Fleming into the American Association of Woodturners. Ron’s story is quite inspiring and this video not only highlights some of his work, but also his woodworking journey. This year, April Fools Day brought out some of our greatest jokes and oddities in the woodworking community videos. This video from Jackman Works was no exception. There are some funny spots throughout the video that I won’t spoil for you, but the finished project is no joke and actually nicely detailed. If you are having trouble getting your holdfasts to “hold fast” this quick tip video might just be the answer you are looking for. This is not your ordinary makeshift table saw. 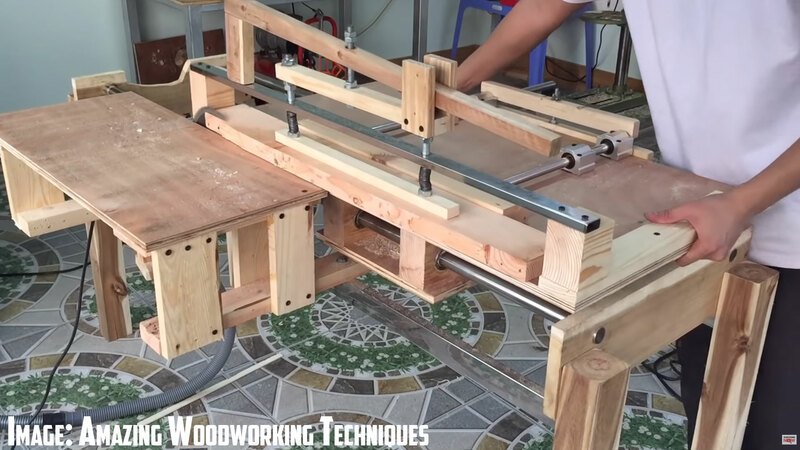 Amazing Woodworking Techniques takes the sliding fence to a whole new level with this one and even includes a clamping mechanism to make this sliding table saw complete. ***Note*** Don’t try this at home. I wanted to end this week with a bang, and this match canon does not disappoint. The meticulous attention to detail in gluing up all 50,000 matches is definitely worth the functioning finished product. Only thing is, you better have the camera rolling because it can only be fired once.. 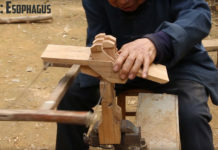 Thanks for the great articles on Ron Fleming and on turning box threads using a router. Very informative. Keep up the good work. I really enjoy ISFATW. I have learned so much from this collection of interesting finds, and have quite a few channel that subscribed to that I may have not known about otherwise. Thanks for your efforts in getting these compilations out to us!